EZ Grade Pro Becky Koss French & Spanish Teacher Lake-Lehman Sr. High School. 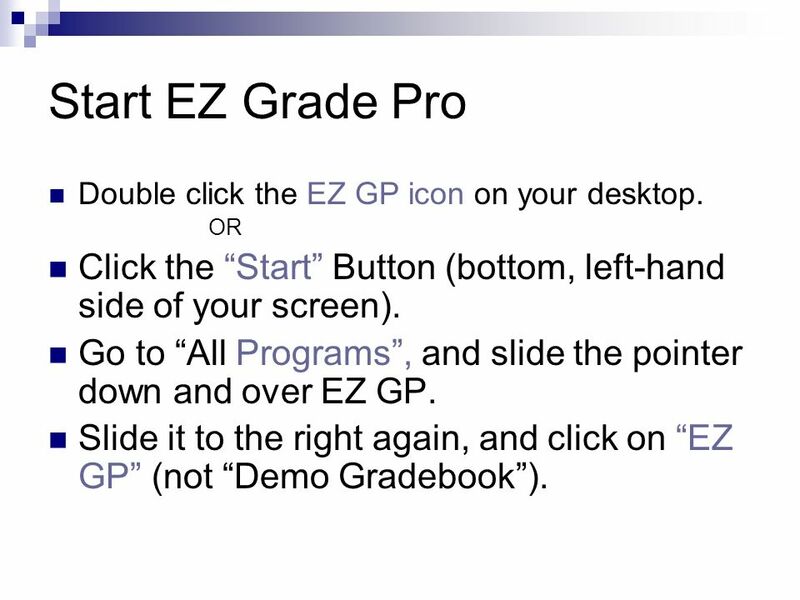 4 Start EZ Grade Pro Double click the EZ GP icon on your desktop. OR Click the Start Button (bottom, left-hand side of your screen). Go to All Programs, and slide the pointer down and over EZ GP. 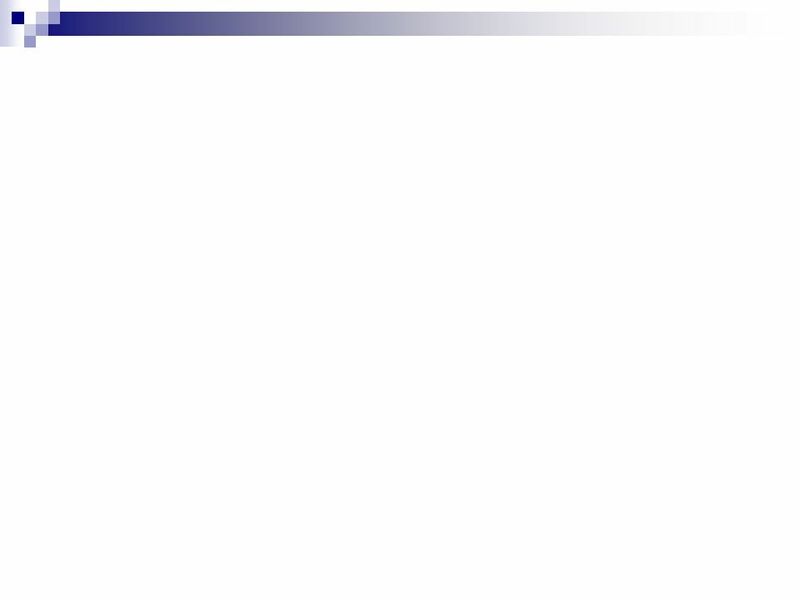 Slide it to the right again, and click on EZ GP (not Demo Gradebook). 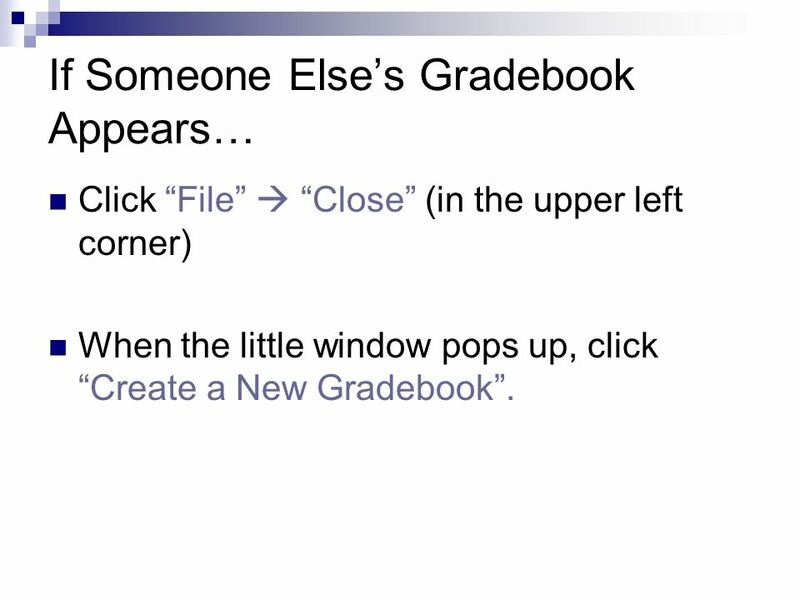 5 If Someone Elses Gradebook Appears… Click File Close (in the upper left corner) When the little window pops up, click Create a New Gradebook. 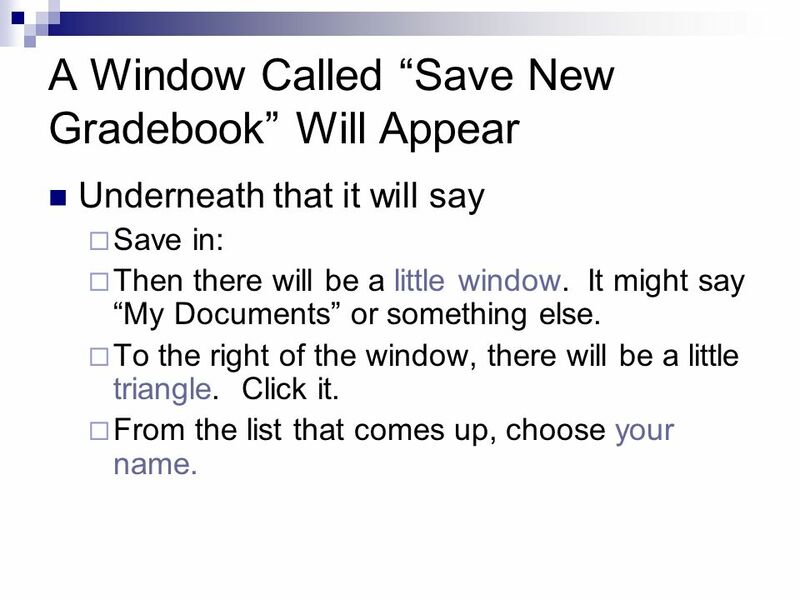 6 A Window Called Save New Gradebook Will Appear Underneath that it will say Save in: Then there will be a little window. It might say My Documents or something else. To the right of the window, there will be a little triangle. Click it. From the list that comes up, choose your name. 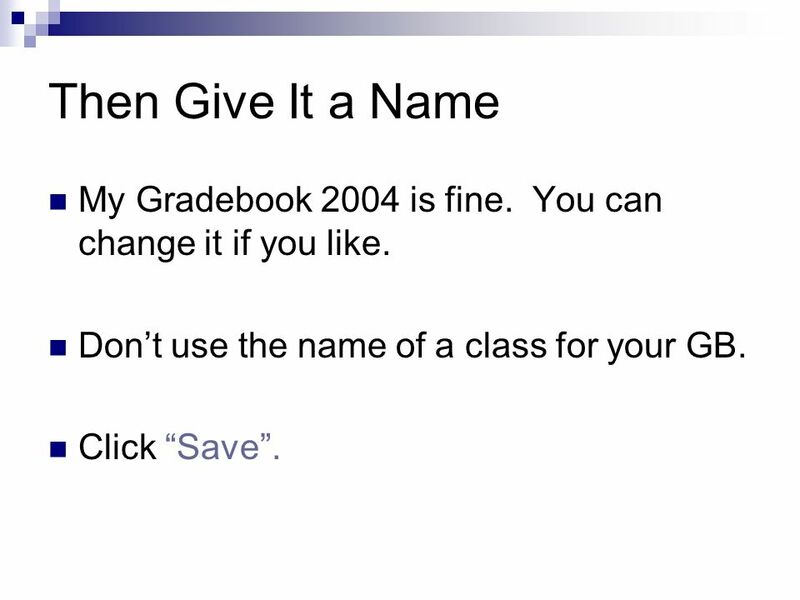 7 Then Give It a Name My Gradebook 2004 is fine. You can change it if you like. Dont use the name of a class for your GB. Click Save. 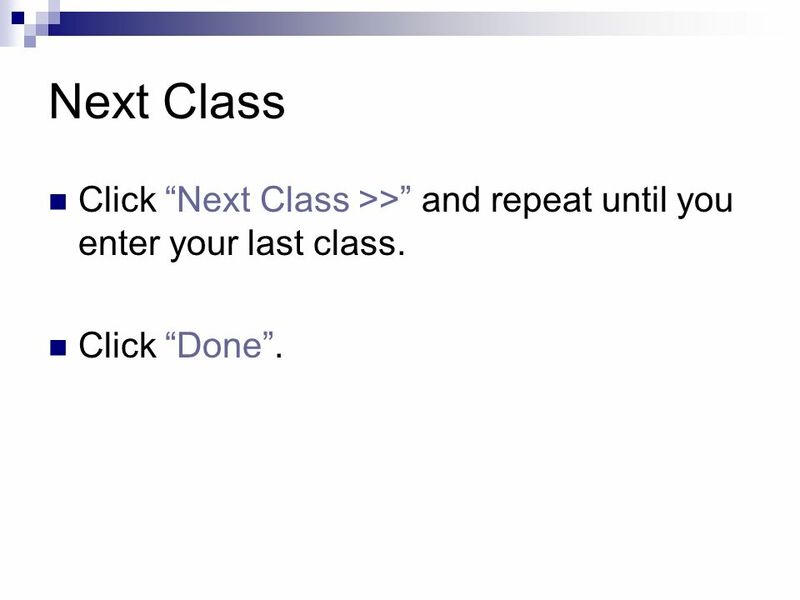 9 Next Class Click Next Class >> and repeat until you enter your last class. Click Done. 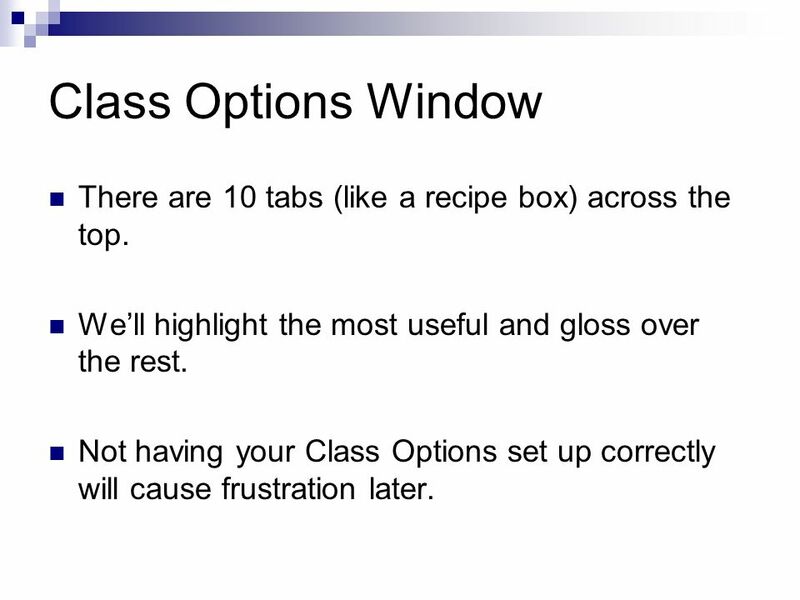 11 Class Options Window There are 10 tabs (like a recipe box) across the top. Well highlight the most useful and gloss over the rest. Not having your Class Options set up correctly will cause frustration later. 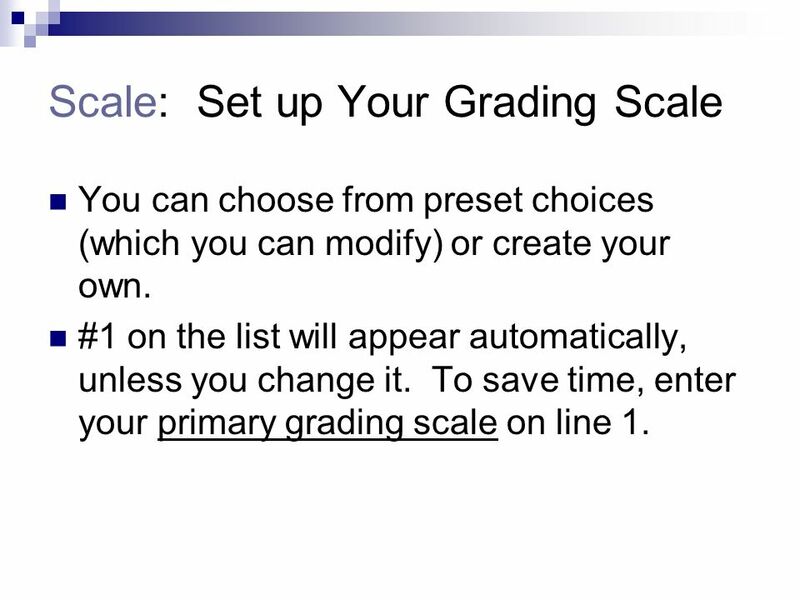 12 Scale: Set up Your Grading Scale You can choose from preset choices (which you can modify) or create your own. #1 on the list will appear automatically, unless you change it. To save time, enter your primary grading scale on line 1. 13 Scale Im deleting the Standard Scale, and replacing it with Lake-Lehman. (You may prefer to modify the OSU scale or to create a new one.) 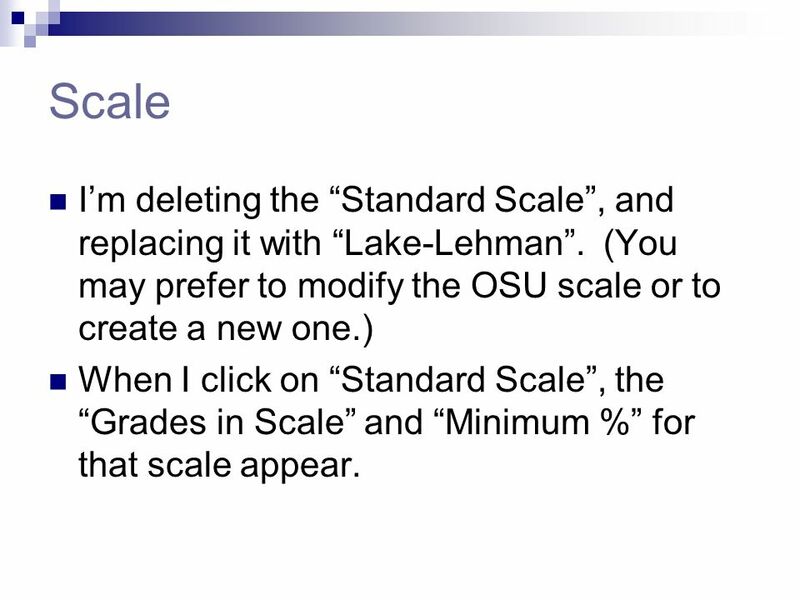 When I click on Standard Scale, the Grades in Scale and Minimum % for that scale appear. 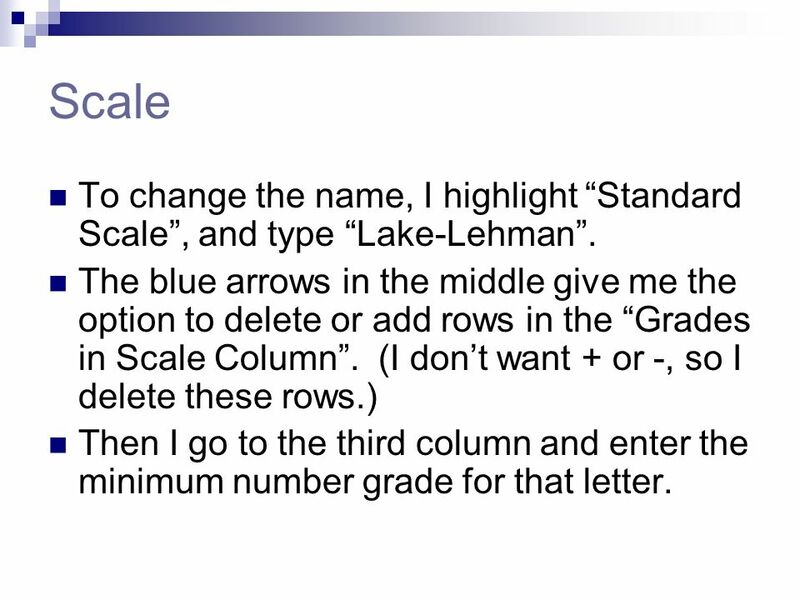 14 Scale To change the name, I highlight Standard Scale, and type Lake-Lehman. The blue arrows in the middle give me the option to delete or add rows in the Grades in Scale Column. (I dont want + or -, so I delete these rows.) Then I go to the third column and enter the minimum number grade for that letter. 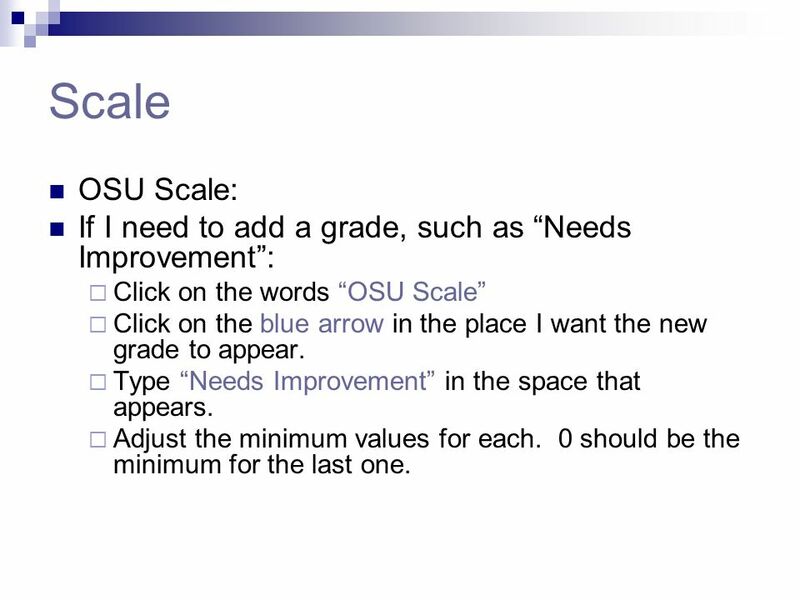 15 Scale OSU Scale: If I need to add a grade, such as Needs Improvement: Click on the words OSU Scale Click on the blue arrow in the place I want the new grade to appear. Type Needs Improvement in the space that appears. Adjust the minimum values for each. 0 should be the minimum for the last one. 16 Round. 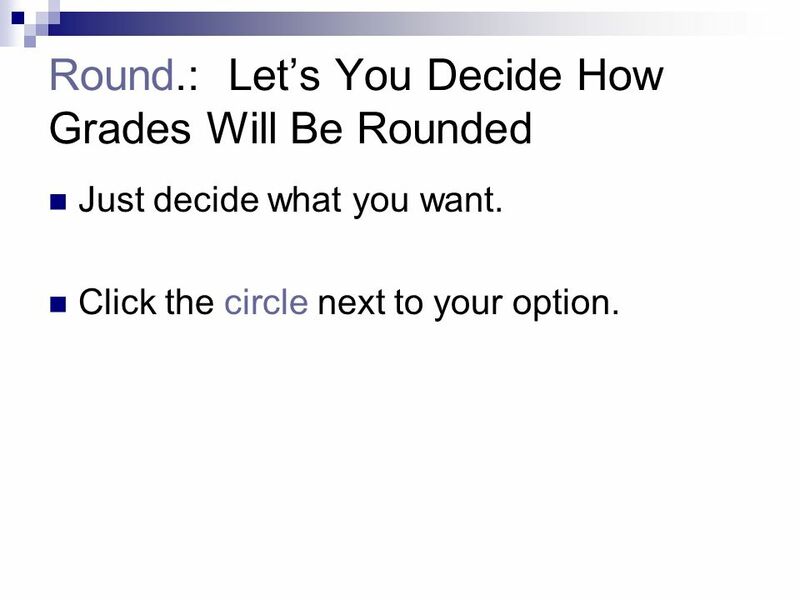 : Lets You Decide How Grades Will Be Rounded Just decide what you want. Click the circle next to your option. 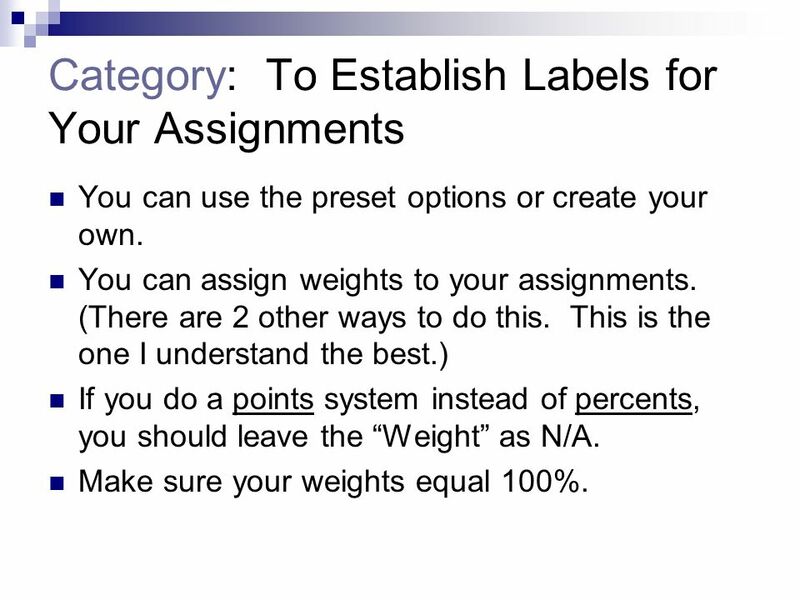 17 Category: To Establish Labels for Your Assignments You can use the preset options or create your own. You can assign weights to your assignments. (There are 2 other ways to do this. This is the one I understand the best.) If you do a points system instead of percents, you should leave the Weight as N/A. Make sure your weights equal 100%. 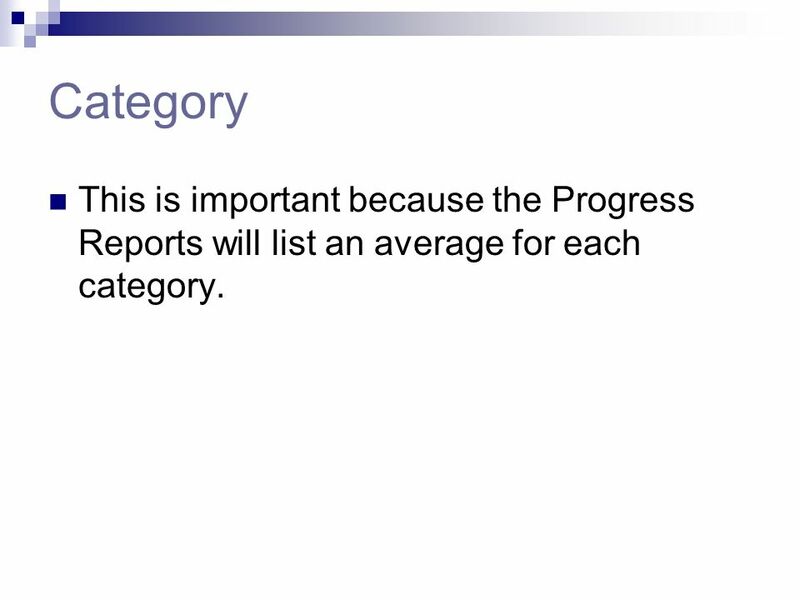 18 Category This is important because the Progress Reports will list an average for each category. 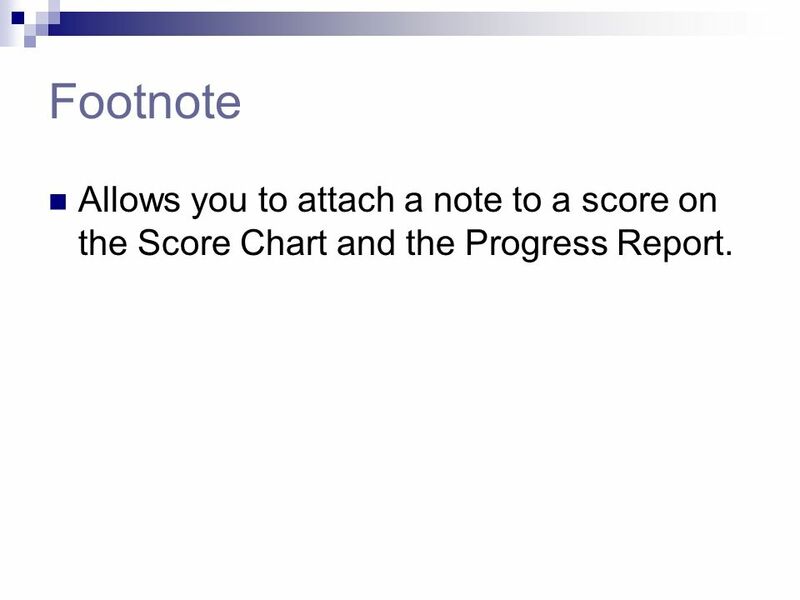 19 Footnote Allows you to attach a note to a score on the Score Chart and the Progress Report. 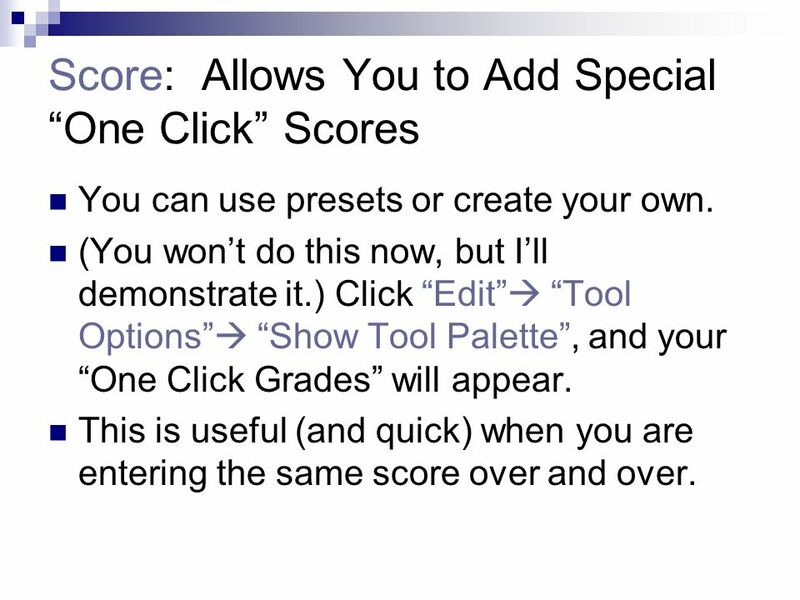 20 Score: Allows You to Add Special One Click Scores You can use presets or create your own. (You wont do this now, but Ill demonstrate it.) Click Edit Tool Options Show Tool Palette, and your One Click Grades will appear. This is useful (and quick) when you are entering the same score over and over. 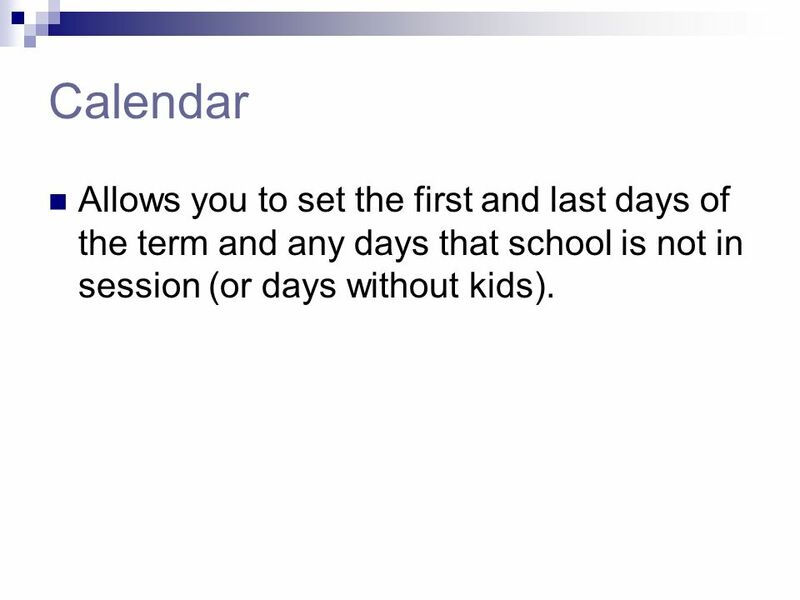 22 Calendar Allows you to set the first and last days of the term and any days that school is not in session (or days without kids). 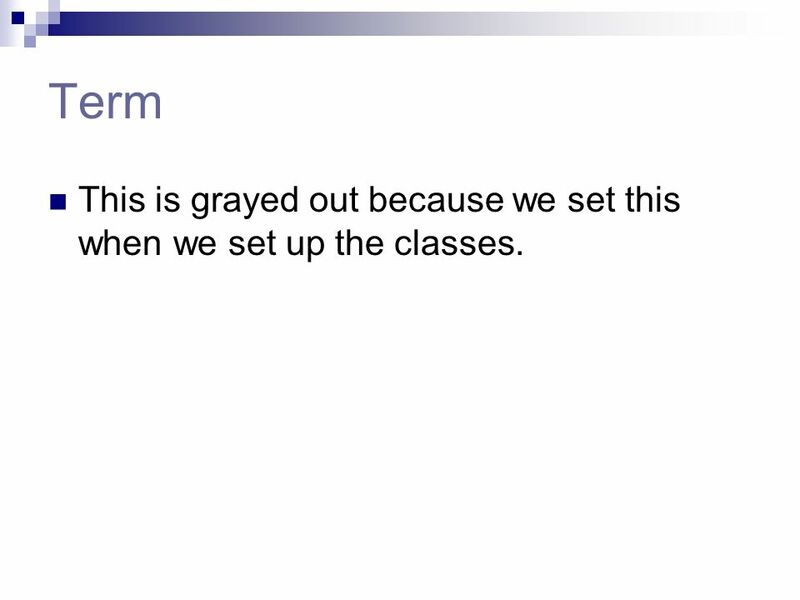 23 Term This is grayed out because we set this when we set up the classes. 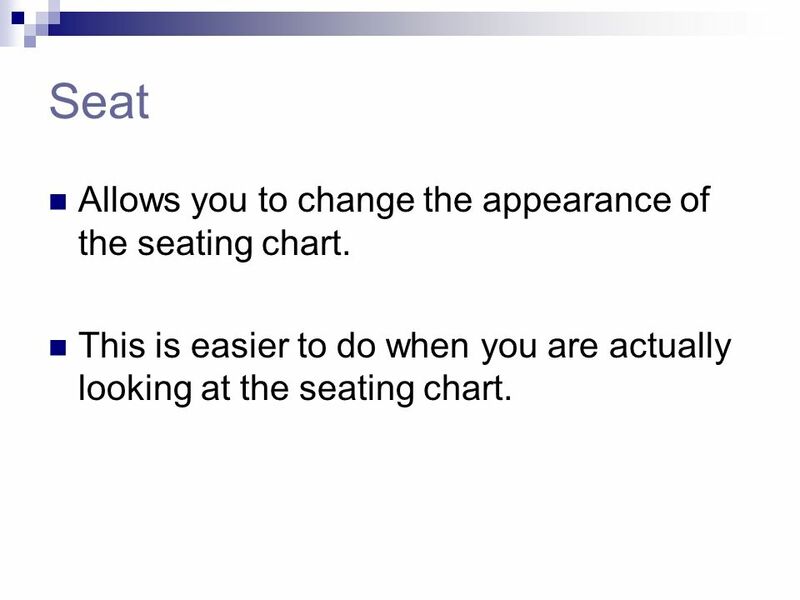 24 Seat Allows you to change the appearance of the seating chart. This is easier to do when you are actually looking at the seating chart. 25 Color You can Color code entire classes. 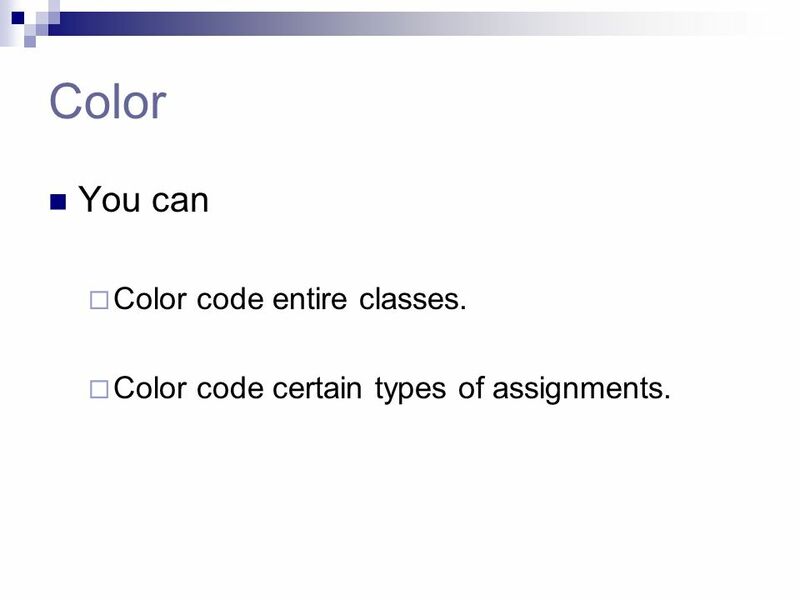 Color code certain types of assignments. 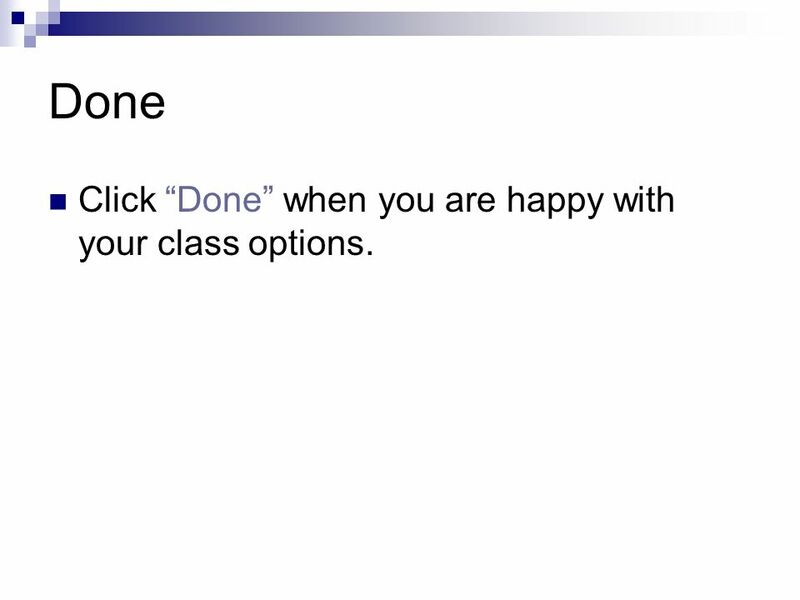 26 Done Click Done when you are happy with your class options. 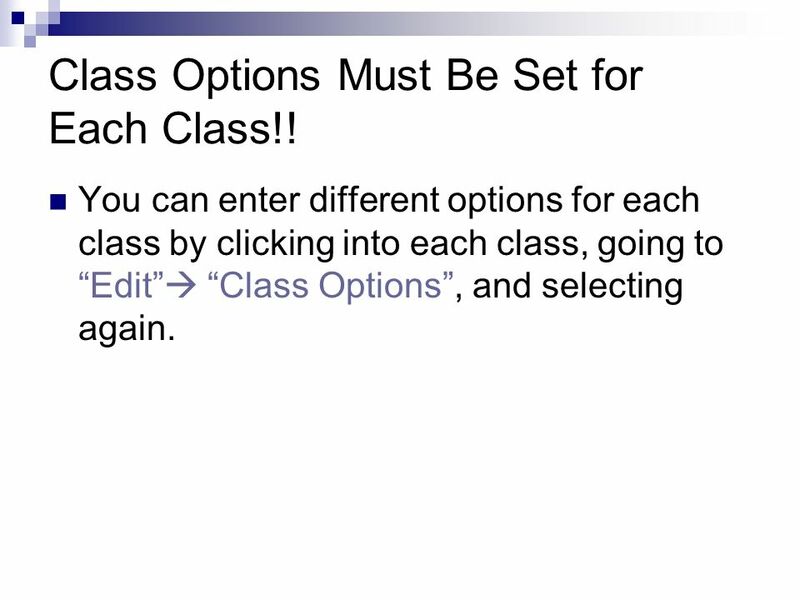 27 Class Options Must Be Set for Each Class!! You can enter different options for each class by clicking into each class, going to Edit Class Options, and selecting again. 28 Copying Class Options OR you can copy them to all classes. 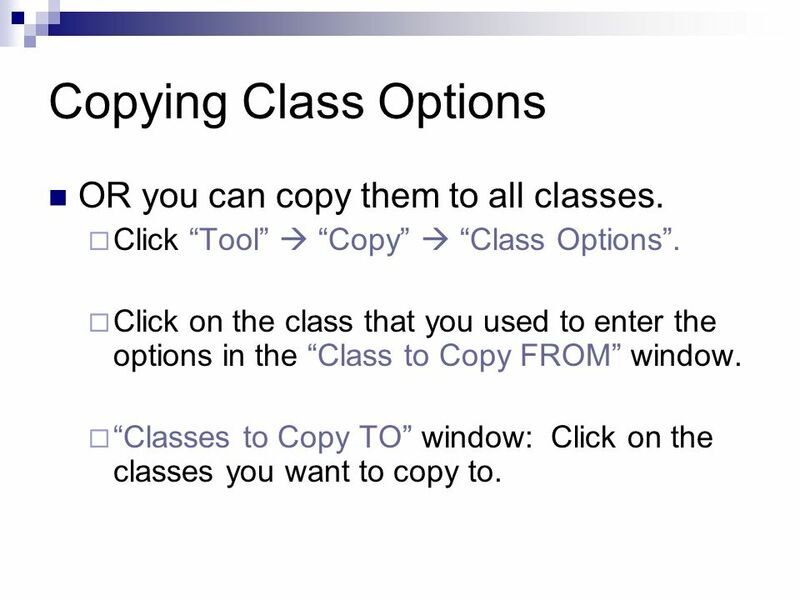 Click Tool Copy Class Options. 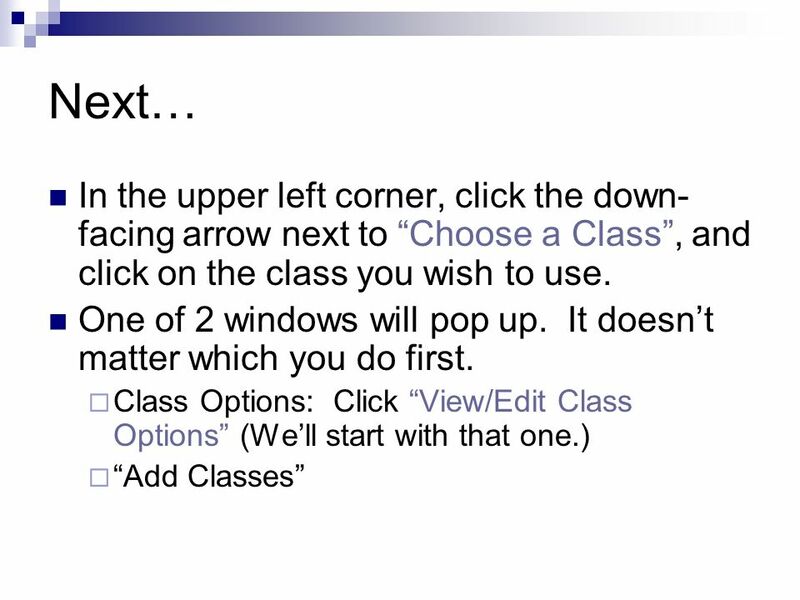 Click on the class that you used to enter the options in the Class to Copy FROM window. Classes to Copy TO window: Click on the classes you want to copy to. 30 Adding Students From the upper left-hand corner, click the arrow next to Choose a Class. Click on the class you want. 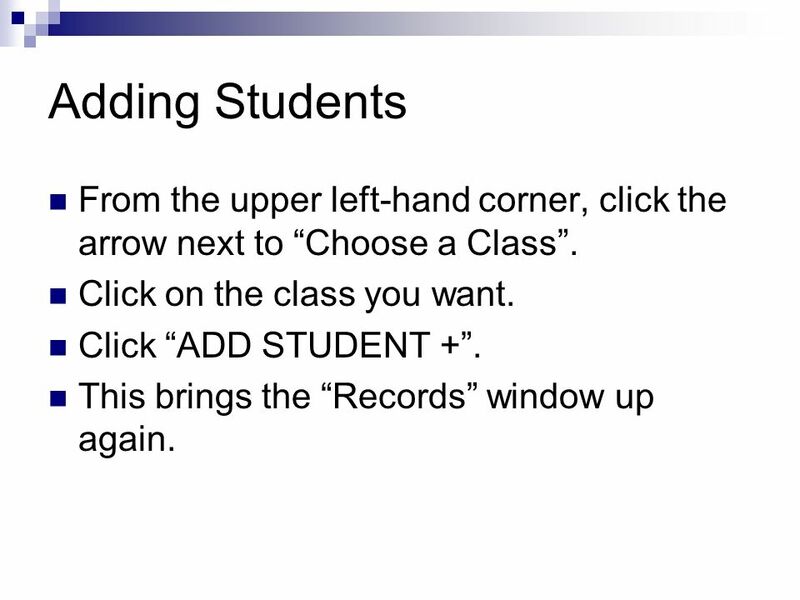 Click ADD STUDENT +. This brings the Records window up again. 32 Adding Students The Grade Scale you entered for line #1 will be listed there (remember: I used Lake-Lehman). 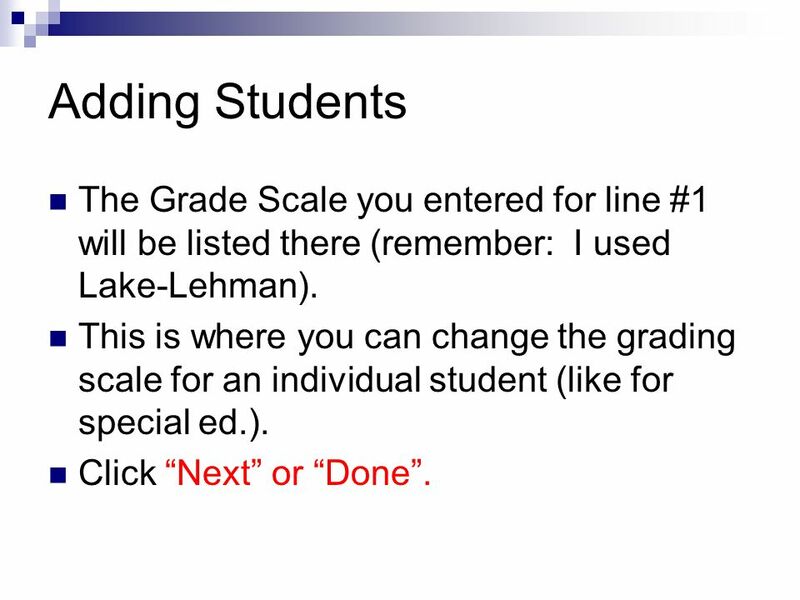 This is where you can change the grading scale for an individual student (like for special ed.). Click Next or Done. 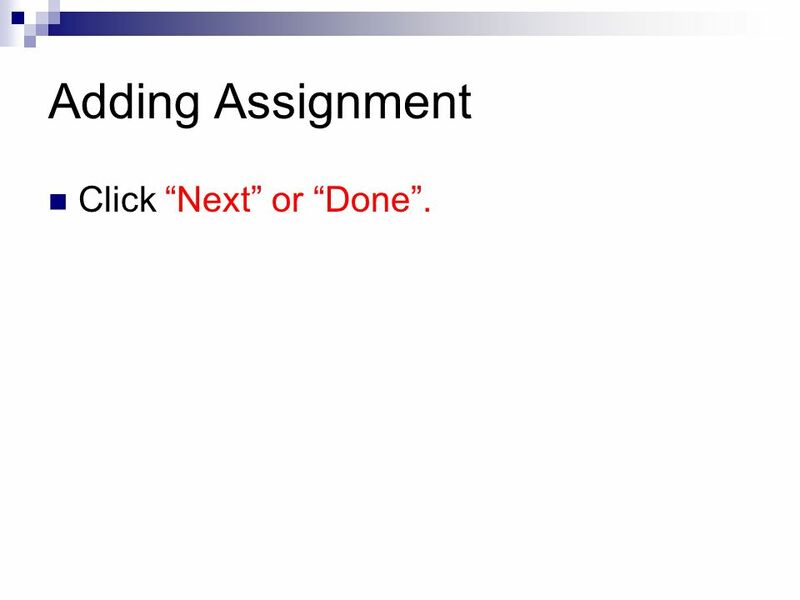 33 Adding Assignments On the top of the chart, click Add Assignment. Enter the information for the assignment. 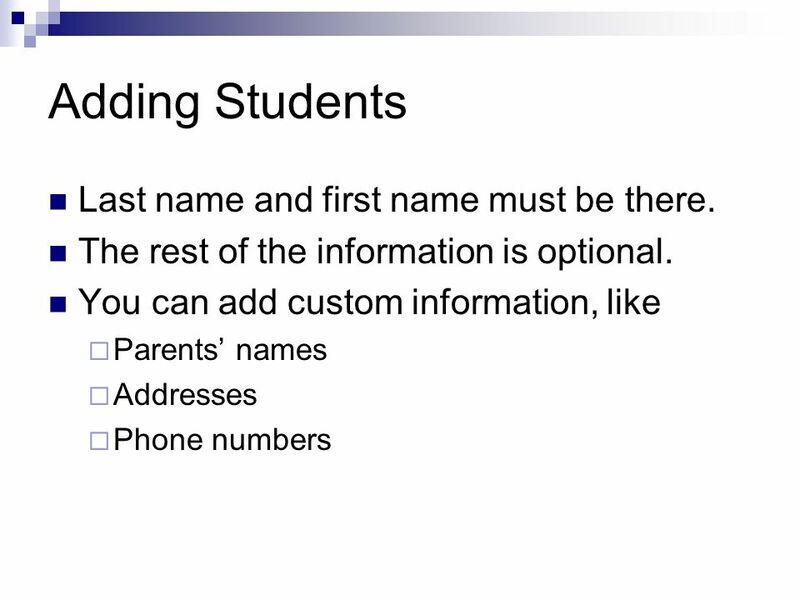 Make sure you add the name, category, and date for the assignment. 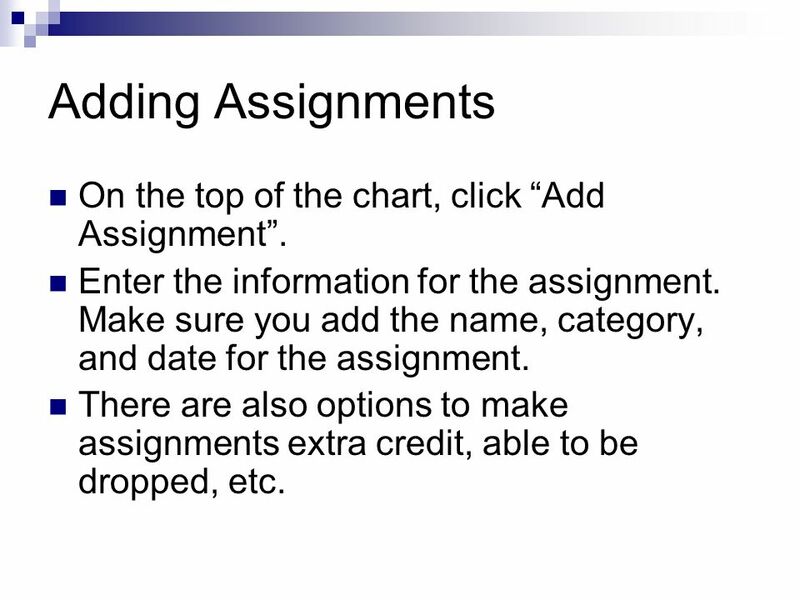 There are also options to make assignments extra credit, able to be dropped, etc. 34 Adding Assignment Click Next or Done. 35 Voilà!! 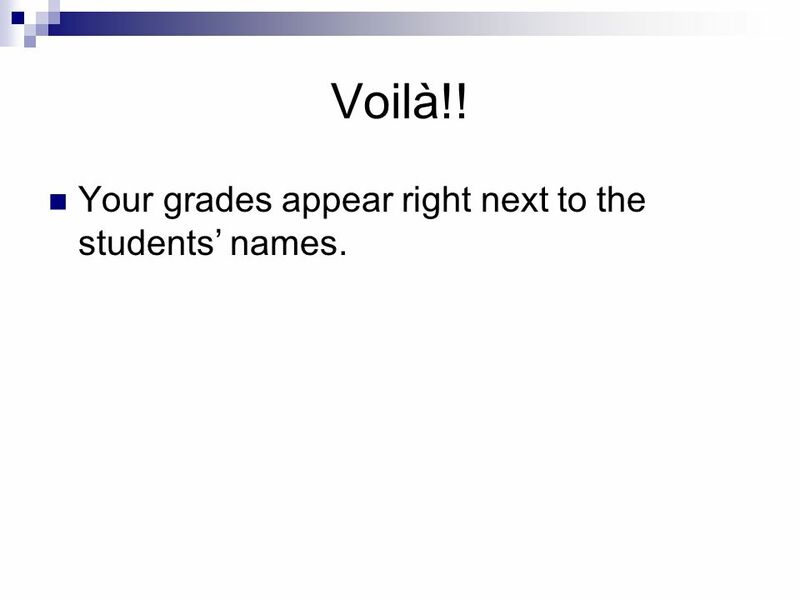 Your grades appear right next to the students names. 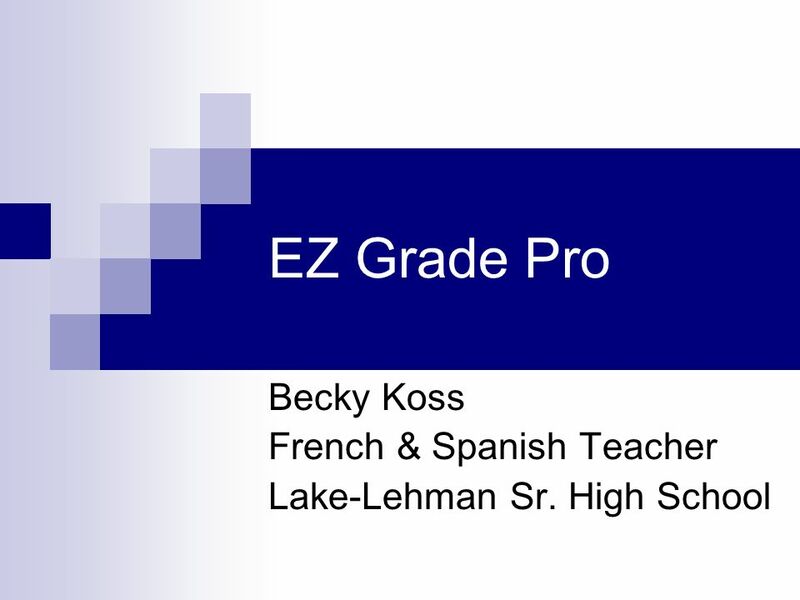 Download ppt "EZ Grade Pro Becky Koss French & Spanish Teacher Lake-Lehman Sr. High School." 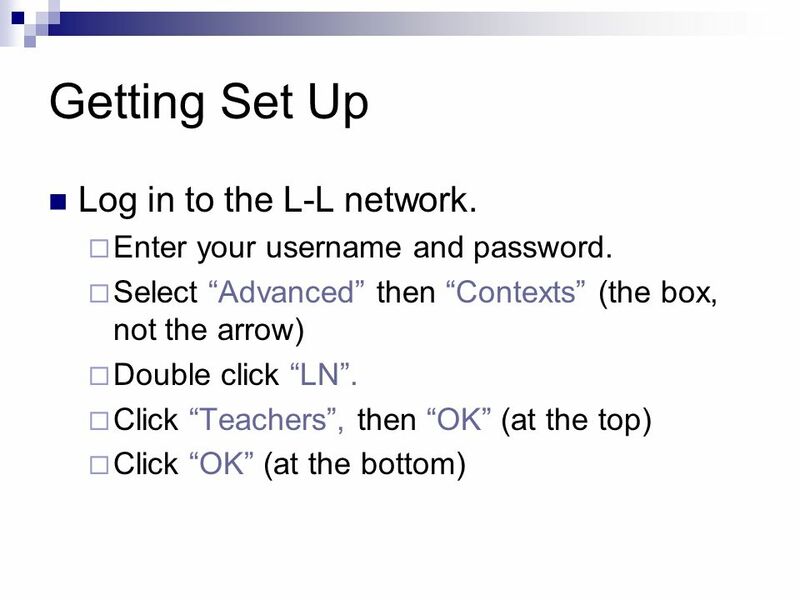 WebLessons E-learning System Teacher Training. Getting Started Sign In Teacher Home. Powerschool Training **Revised copy. Please alert me to errors. For secondary grade keeping. 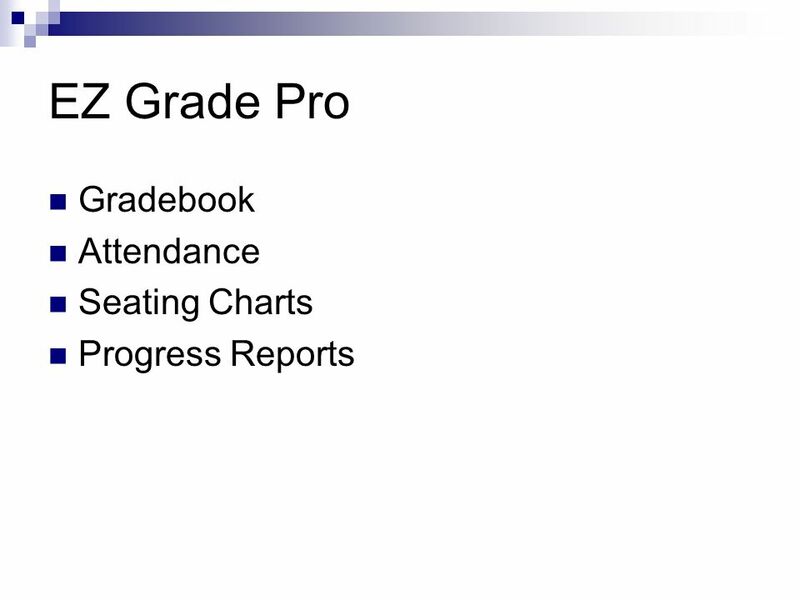 A presentation By The Fundamental Steps 1.Create grade books for each class 2.Link grade books 3.Add Students to the grade. 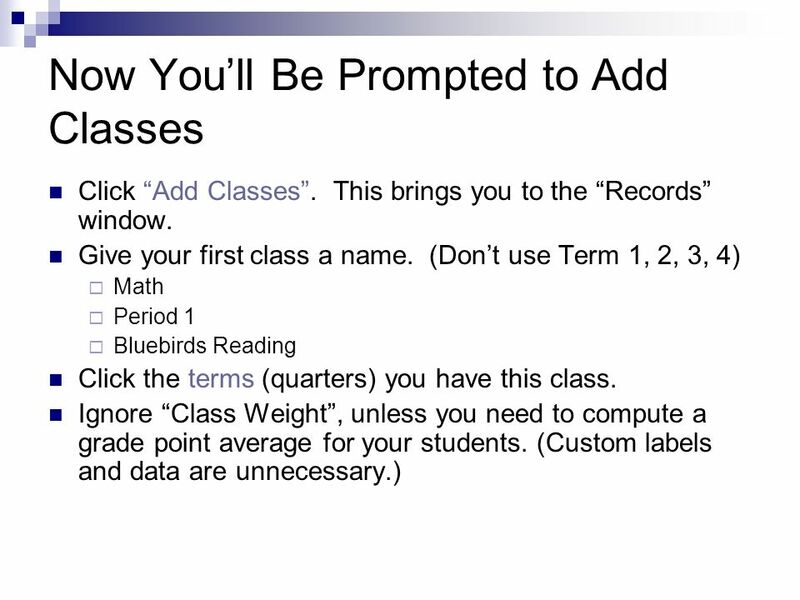 Transitioning from Gradequick to ABI Gradebook April 16, 2009. Introduction to Excel 2007 Part 3: Bar Graphs and Histograms Psych 209. STAR PORTAL GRADEBOOK. Let’s Get Into the Gradebook! At the Teacher Schedule page, click once on the Gradebook link to open to the page for the corresponding. 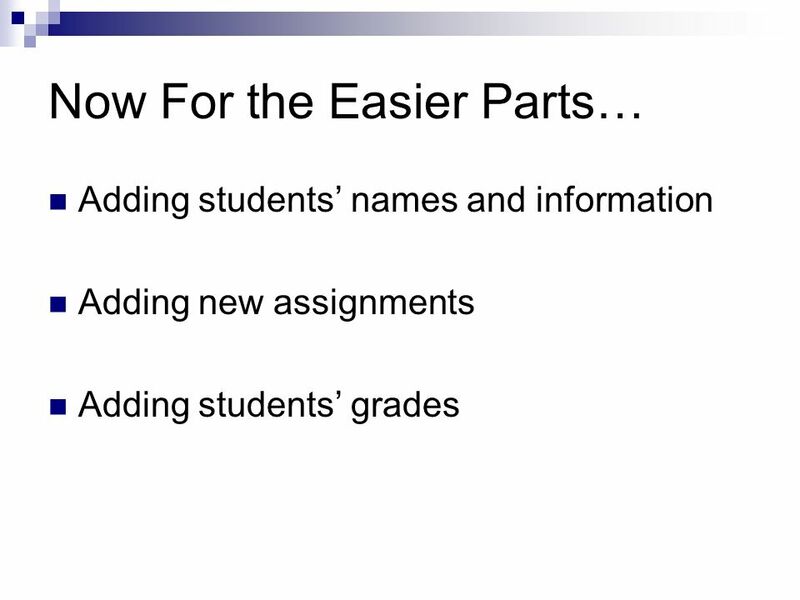 If you are using the same grading scale and categories that you used last year skip the next two slides. Power Teacher By: Beth Serva August How can PowerTeacher help your school? 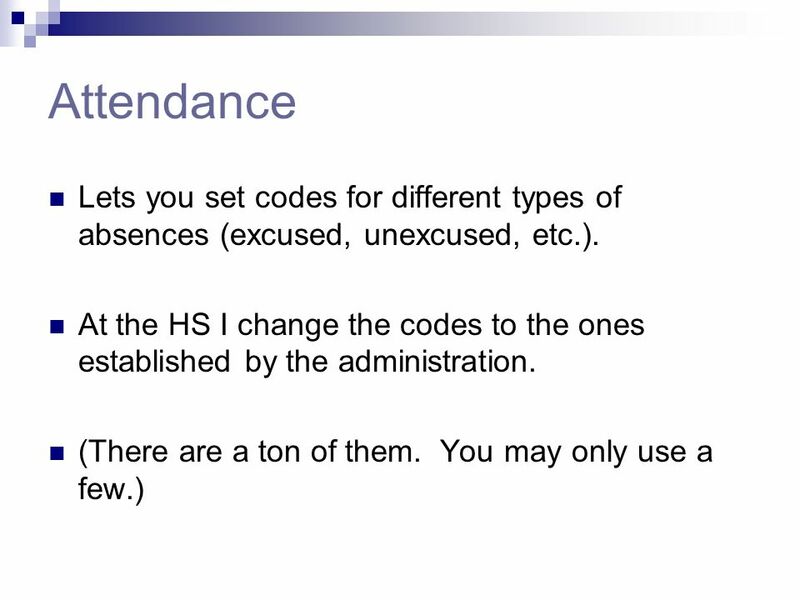 Allows administrators to see grades and attendance for all students One. Panorama High School E.G.P./ Training to Put Students’ Grades on the Website Wednesday, September 29, 2010 1.